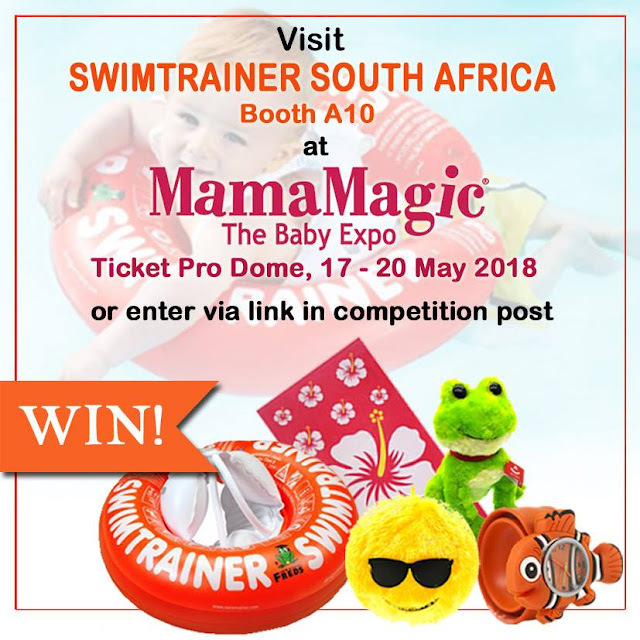 SWIMTRAINER SOUTH AFRICA will be attending the Mama Magic Baby Expo at the Ticket Pro Dome from 17 - 20 May 2018. 3) 1 x Nemo Slapwatch. Sharing is caring, so feel free to add friends' details to get them entered, or share this post with them on FB. Visit SWIMTRAINER SOUTH AFRICA at booth A10 at the Mama Magic Baby Expo to increase your chances to win. Competition closes on 30 May 2018, winner will be announced on 31 May 2018. Winners will be notified via e-mail, so please ensure your details are entered correctly. This competition is in no way associated with Facebook or its affiliates.